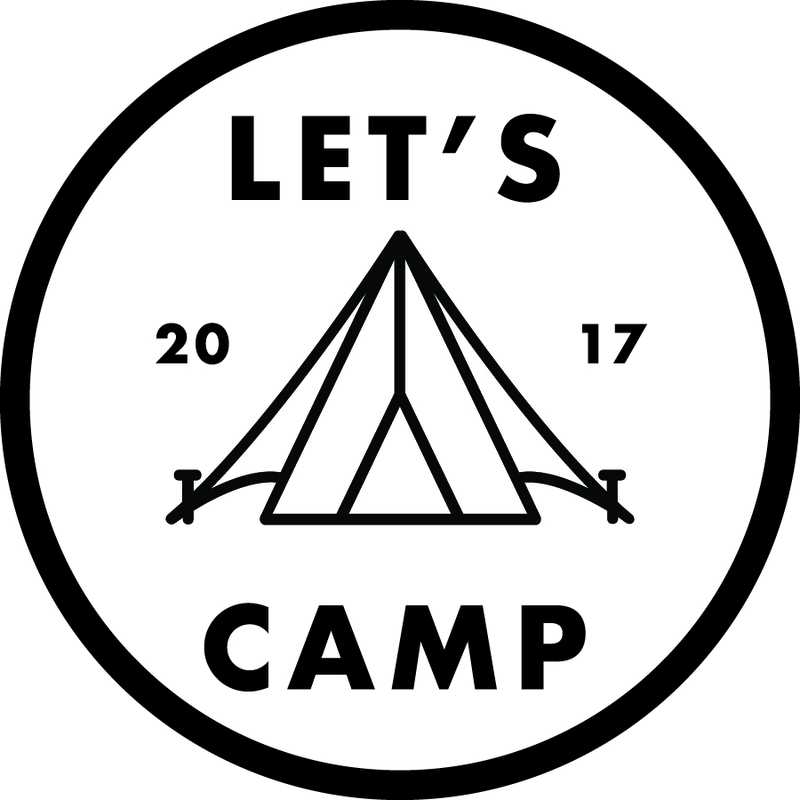 Let’s Camp 2017 is being held at Camp Wandawega in Elkhorn, Wisconsin. We’ve dedicated this weekend to creative women entrepreneurs who are are looking to learn new skills, meet like-minded people, practice self-care, network for future collaborations, or get away for a weekend. First, figure out why you want to put one on. My “why” was to have a place for creative women entrepreneurs to relax and connect in nature - that was the primary reason. It wasn’t for learning or building their business. Pick a location that matches your “why.” Camp Wandawega really checked off all the boxes. Nature √. Relaxing √ (plenty of places around camp to just chill). Creative √ (looks like a freakin’ Wes Anderson set). Find a like-minded buddy to plan with. Mandy helped me in lots of ways but specifically to be grounded, keep myself accountable, and stay focused. Pick a date. Any will do, but you may want to avoid holidays. We just went for what was available and would still be warm. Next time, I think we’ll do early summer. Figure out a rough itinerary for what you would want to do for the weekend. For me? I wanted it to be mainly relaxing, eating, and then some businessy stuff. I also wanted everyone participating in some way because I know I love going to something when I feel like I’m a part of it. Start reaching out to people who would be interested in participating: photographers, graphic designers, event planners, workshop hosts, etc. Send personal invitations to people who you want to hang out with! Start reaching out to sponsors that would be a good fit. We tried to just stick to product-based sponsors (food, gift bags items, etc.) as opposed to service-based ones. Think through the details. Visualize when you arrive and every 30 minutes that you’re there. Once you write everything down, make your dreams happen! Dealing With So. Many. Logistics. Thankfully Mandy and I are both planners (not by trade just in life!) and like to think everything through, but I’m still not sure if everything is going to fit in my car! TBD. Putting boundaries around what I can/should worry about. I’m worried that some women won’t enjoy their time up there. I know that I shouldn’t worry about that—but, if I’m honest—it’s a hard one for me. Someone posted that they needed a ride in the Let’s Camp Facebook group, and no one has responded... IT. IS. KILLING. ME. I want everyone to have everything they need! Wishing that everyone could join us! Unfortunately, we just didn’t have enough spots for everyone (we had a waitlist of 120+ women, 24 hours after the event sold out)! As inclusive as I want to be, we just have limitations. Connecting with so many women. It’s been so fun to be the center of organizing all these incredible women in one place! Women excited to meet other women. I can’t tell you how many times I’ve heard one woman say about another “Oh, I’m such a fan of hers - I can’t wait to meet her!” It warms my heart to hear so many other women excited to make s’mores next to each other. What did you think when I first approached you to do the event? I was excited and surprised! At the beginning of the year, when we began talking about this event, I was going through a transitional time in my creative work, so while the idea excited me, I couldn't even wrap my head around how it could happen. BUT, I am so glad it did. I think that once we secured our venue and visited Camp Wandawega, it really started to feel real. I do! I am glad we were both able to do our first ever retreat together. I am such a fan of collaboration, especially for events, so partnering up with someone who loves creative women as much as I do was pretty amazing. I think that we were both able to utilize our skills while integrating them together to get things done. While there were a lot of changes, a few issues, and some stress, I think we were able to both guide each other and communicate about what the next steps should be. Basically, I thought you were great before we started planning this, and think you're more wonderful now. Are you nervous about anything with the event? In the beginning, I was definitely nervous about incorporating my "brand" into the event. The Glossary didn't even exist when we started planning! But now that The Glossary is established and thriving, that is no longer a worry in my mind. I suppose I'm a bit nervous about if people will enjoy their time at camp, but only a little bit. I know how much work and planning we have put into this retreat, so I feel pretty calm about facing any challenges or unexpected events (which I'm sure will arise) during the weekend. I am super happy with the group of women we are bringing together, and their joy about joining us at camp makes everything worth it. What are you most excited for or looking forward to about the weekend? I think I'm most excited about the excitement! I know when we first started planning, we questioned how many women would be interested in joining us. But when we sold out with a future waitlist and started hearing about how thrilled our attendees were about the weekend, I was pretty pumped (after that wave of panic). I'm excited to be outside of the city with a group of like-minded ladies who are all there to learn, relax, make friends, and better their business or craft. Basically, that's the ideal combination in my book. What is the #1 thing you would recommend to someone about putting on an event like this? Stay organized and get someone to take care of the food! That's two things, but do them both. We have an endless amount of spreadsheets, which may seem daunting to go through, but they have been so helpful to get everything done. There's a lot to do, and I mean a lot! Also, planning menus for 40 women for 6 meals is HARD. I love food, but I don't know how to create recipes or cook for large groups of people. When we started planning, we didn't really give a second thought to the food - we just said we'll have campy food and that was it! So my advice is to get someone in the food industry or someone with a huge love of food to plan your meals, craft recipe ideas, and make the food during the event. You don't want to be responsible for a large group of hungry women in the woods (or anywhere else). If you’re interested in joining us for future events and/or retreats, we’d love to have you! You can contact me here and/or subscribe to my newsletters in the footer!